Everyone knows that getting your business noticed is the key to success, but the real challenge is understanding where to brand your business and how to go about it. Brand recognition can be defined simply as the presence of your company’s image and the extent to which the public is aware of such presence. Regardless of the type of business, branding is an important part of any company in order to maximize business and generate growth. As brand recognition relies mainly on building up a strong company image and instilling a presence, the brand’s image must be projected through various channels and outlets. Today, internet marketing and branding is the quickest and most successful way for companies to create a presence and reach the maximum number of people. Gaining brand recognition is important as it provides the core of any business. Without being recognized, a business would have few to no clients. 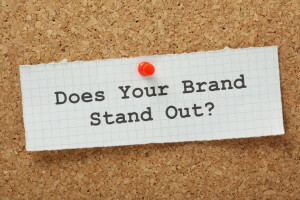 Since brand recognition leads to business leads, the more brand recognition the better. When the branding process begins, it is necessary to have a clear focus on what kind of image the company would like to project, as consistency breeds a cohesive message to potential customers. Furthermore, you must decide what the purpose of your branding and presence is. Think of web design as a branding mechanism: some companies will have a website for the purpose of making internet sales, while others will not sell their service on the internet and instead provide a website as an informational outlet for consumers and get their physical presence noticed. The internet is the best means of gaining brand recognition. Utilizing internet marketing can transform your company through branding and beyond. When a business is at the top of its market on the internet, it attracts more business and looks like a better brand. As a company name or image appears across the internet, it will cause discussion and people will better recognize the brand and talk more about it. Internet visibility takes the form of many different strategies. The first step of brand recognition online begins with a good website, consisting of effective content, photography, web design, and graphic design. Second, search engine optimization (SEO) will optimize the brand’s focus in search engines to get noticed and turn visitors into clients. Third, social media strategic must be implemented to further expose the brand on the internet and reach potential business. Brand consistency: use the same name, brand, and logo on all products and advertising to create an image that is seen frequently and sticks in the mind of potential consumers. Graphics: high impact graphics capture the attention of viewers and draw in their attention; the right graphics make a brand memorable and increase discussion and referrals. Symbolism: make meaning and recognition coincide- whether on a graphic, press release, or social media page, appearance should not only be appealing to viewers but also meaningful and representative of the company’s values and the services it provides. Variety: increase brand recognition by utilizing a plethora of mixed media outlets; variety broadens the amount of consumers reached and increases general recognition. 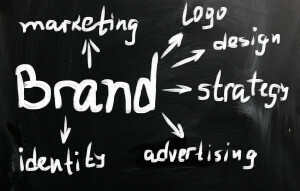 To reiterate, branding is an essential element to any successful business. With the importance of the internet in modern society, branding through internet marketing is the smartest way to get your brand recognized. A lasting presence means more business and bigger profit for your company. For further help with branding your business, contact the team of Design & Promote.